Here are the slides from my Logic Coloquium 2014 talk in Vienna. This is joint work with Kazuto Yoshimura from Japan Advanced Institute for Science and Technology. Abstract: In constructive mathematics we often consider implications between non-constructive reasoning principles. For instance, it is well known that the Limited principle of omniscience implies that equality of real numbers is decidable. Most such reductions proceed by reducing an instance of the consequent to an instance of the antecedent. We may therefore define a notion of instance reducibility, which turns out to have a very rich structure. Even better, under Kleene’s function realizability interpretation instance reducibility corresponds to Weihrauch reducibility, while Kleene’s number realizability relates it to truth-table reducibility. We may also ask about a constructive treatment of other reducibilities in computability theory. I shall discuss how one can tackle Turing reducibility constructively via Kleene’s number realizability. I just gave a talk at “Semantics of proofs and certified mathematics”. I spoke about a new proof checker Chris Stone and I are working on. The interesting feature is that it has both kinds of equality, the “paths” and the “strict” ones. It is based on a homotopy type system proposed by Vladimir Voevodsky. The slides contain talk notes and explain why it is “Brazilian”. Abstract: Proof assistants verify that inputs are correct up to judgmental equality. Proofs are easier and smaller if equalities without computational content are verified by an oracle, because proof terms for these equations can be omitted. In order to keep judgmental equality decidable, though, typical proof assistants use a limited definition implemented by a fixed equivalence algorithm. While other equalities can be expressed using propositional identity types and explicit equality proofs and coercions, in some situations these create prohibitive levels of overhead in the proof. Voevodsky has proposed a type theory with two identity types, one propositional and one judgmental. This lets us hypothesize new judgmental equalities for use during type checking, but generally renders the equational theory undecidable without help from the user. Rather than reimpose the full overhead of term-level coercions for judgmental equality, we propose algebraic effect handlers as a general mechanism to provide local extensions to the proof assistant’s algorithms. As a special case, we retain a simple form of handlers even in the final proof terms, small proof-specific hints that extend the trusted verifier in sound ways. Univalent foundations subsume classical mathematics! The next time you hear someone having doubts about this point, please refer them to this post. A more detailed explanation follows. A student of mine worked on a project to produce beautiful pictures of Costa’s minimal surface with the PovRay ray tracer. 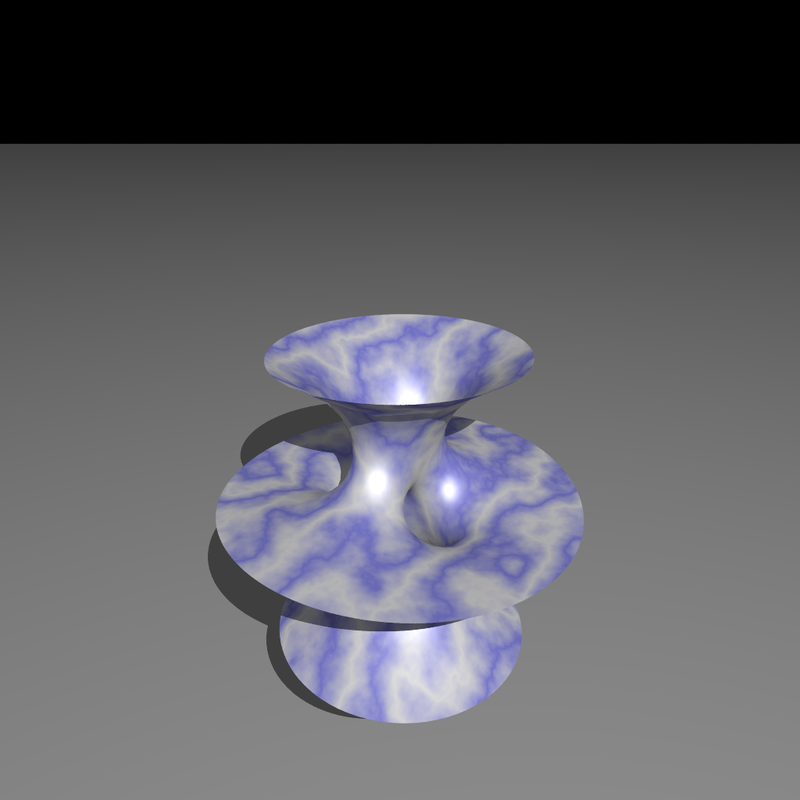 For this purpose she needed to triangulate the and compute normals to it at the vertices. It is not too hard to do the latter part, and the Internet offers several ways of doing it, but the normals are a bit tricky. If anyone can calculate them with paper and pencil I’d like to hear about it. An inductive type contains exactly those elements that we obtain by repeatedly using the constructors. If you believe the above statement you should keep reading. I am going to convince you that the statement is unfounded, or that at the very least it is preventing you from understanding type theory. Free variables are not “implicitly universally quantified”! Mathematicians are often confused about the meaning of variables. I hear them say “a free variable is implicitly universally quantified”, by which they mean that it is ok to equate a formula $\phi$ with a free variable $x$ with its universal closure $\forall x \,.\, \phi$. I am addressing this post to those who share this opinion.